Agencies and talented consultants play a huge role in what you see online. It's a great time to be a fan of Justin Bieber, Kim Kardashian, and other celebrities with millions of followers on social media. Celebrity posts a photo or tweet. You join the masses in liking and commenting on the content. Joy ensues. But of course, not everyone manages his or her account, and that's okay. In a new Vanity Fair story, Josh Duboff speaks to important social media players, some anonymous, about what it's like to post content on behalf of a celebrity. In the case of Kim, the conversation turns to what it's like to hit the send button herself, since she says she's in "full control" of her accounts. 1. Agencies and talented consultants play a huge role in what you see online. TheAudience, a 5-year-old company that helps celebs build and maintain their accounts, have been used by Charlize Theron, Emma Watson, and others. According to VF, Charlize wanted the company to help promote her charities, while Emma was focused on her acting endeavors. 2. Celebrities are peanuts compared to brands when it comes to social media consulting. Oliver Luckett, a co-founder of theAudience, tells VF that the company does work for McDonald's, American Express, and Universal. "You look at how much money is being made with celebrities, it was hardly close to the same amount as there was working with brands." 3. It's all about balance. Rihanna and Taylor Swift are regarded as two people who have managed to perfect what BuzzFeed's chief marketing officer Frank Cooper calls the "authenticity" smoothie recipe. In other words, they know exactly what their fans want to see online, creating a space of intimacy without revealing too much about themselves. 4. 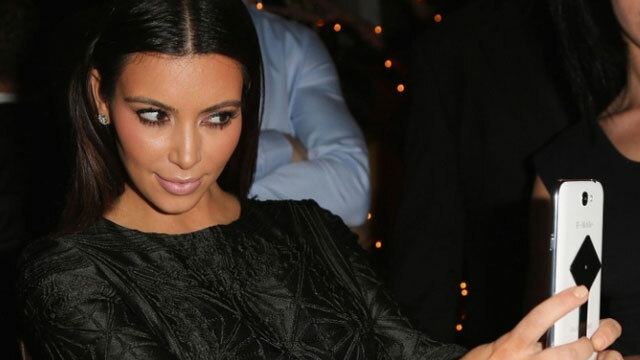 Is your BFF a celebrity? Great—there might be a job for you. As the feature notes, Kerry Washington's childhood friend Allison Peters is actually the one behind @kerrywashington. Allison, who also runs Connie Britton's account, drafts posts written in the tone of Kerry, who then adds edits and approves the content. Allison tells VF that she will often contact Kerry to see if she wants to weigh in or respond to an issue or news item. 5. Celebrities tend to get more involved in their social media accounts when they get more followers. One anonymous consultant tells VF that celebrities "get excited" when their numbers grow, to the point where they start cooperating and asking what kind of photos are needed. 6. No celebrity is ever too big or famous for professional social media assistance. Scooter Braun, who manages your faves like the Biebs and as of this year, Kanye West, says he often get calls from them checking to see if certain messages or photos are kosher. "Ariana [Grande, a former client of his] used to, all the time, send me a message, 'Hey, what do you think of this?' Or, you know, Justin and Kanye…they all do." 7. Kim Kardashian is an exception. In an email to VF, Kim says despite feeling "overwhelmed" at times with running her own accounts, "especially when I'm with the kids," she does block out time to prioritize her social needs. "I could never see me hiring someone," she writes. "For me, it wouldn't seem authentic. Because it's all about me, I couldn't imagine trying to find someone to do that for me." 8. Social media earnings can translate to a second job for some celebrities. According to Emily Ratajkowski, who also runs her own account, the occasional sponsored social media post has helped her be more selective in choosing film roles. "I'm making money via social," she tells VF. "That's a huge part of my income, and if that wasn't there, then I would be taking every movie that was offered to me. My career could be in a much different place." 9. Celebrities want sponsored posts to mean something to them. Mike Heller, the C.E.O. of Talent Resources, says Beyoncé walked away from a hair brand deal worth a million dollars because she "just didn't connect with the brand." He tells VF that Bey turned it down after "three months of going back and forth." 10. Yes, some of those Instagrams are by a professional. Two people revealed to VF that Selena Gomez, who has the most followers on Instagram (98.2 million, thxvm), "definitely" employs professional photographers from time to time. But at the end of the day, fans will still give SelGo that double tap.